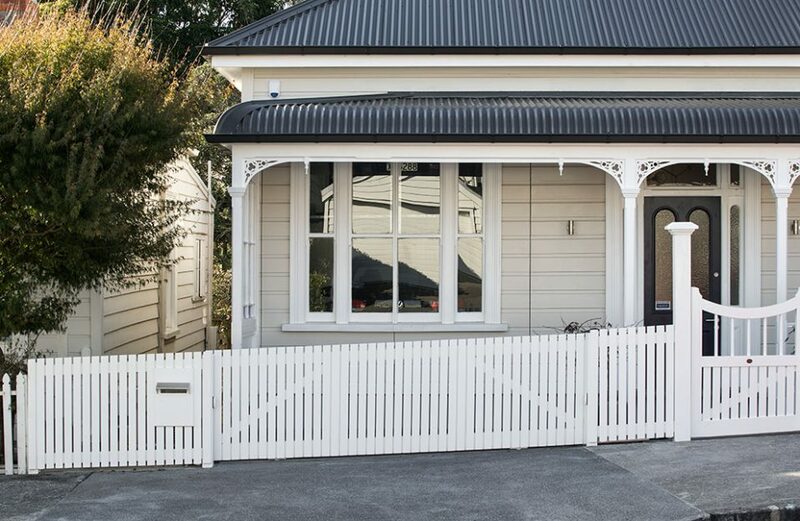 New Zealand architect Jonathan Smith worked with a cabinetmaker to carefully deconstruct part of this 1890s home in Auckland, then assembled a set of automatic doors as well as a moving fence to conceal a brand new garage space, all expertly retrofit into the historic structure. 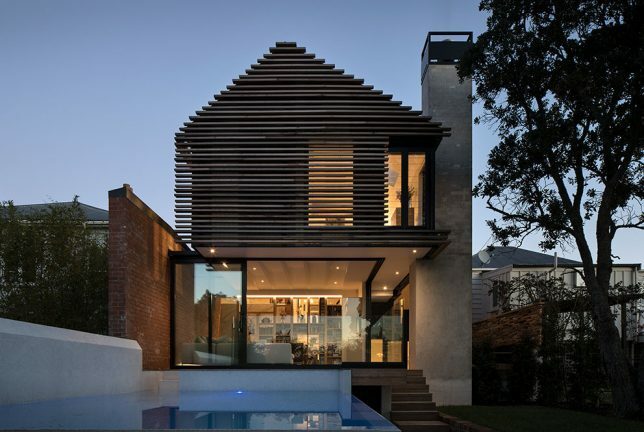 The result is a high-level work of camouflage, preserving the exterior look and feel of the house while creating a James Bond-worthy disguise for the reappropriated space. Inside, a lift hoists one car up to make room for a second as well. 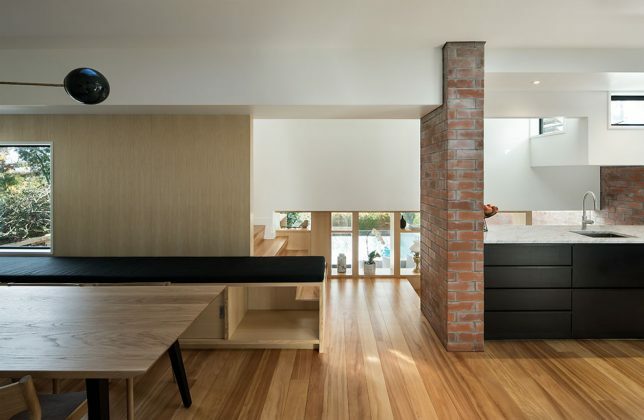 “We wanted to retain the character from the street so we cut through the joinery units to create two doors and then lined up the boards so you wouldn’t know,” explains the designer, who is also founder of Matter Architects. 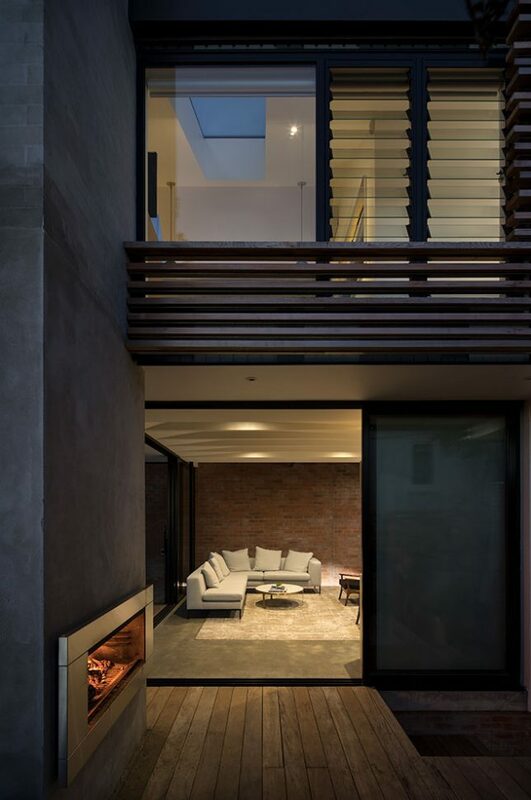 Inside, a similar attention to historical details coupled with Modern refinements can also be found, with preserved brick surfaces complimenting new steel and glass elements. 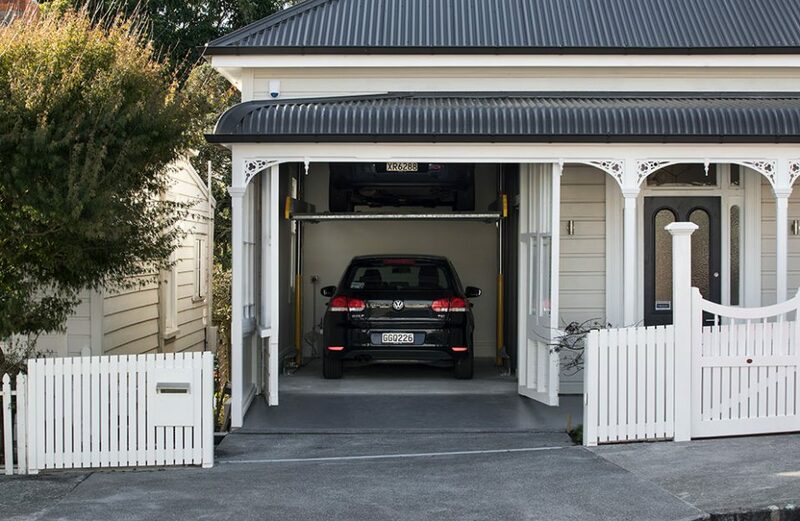 The garage, while central to the redesign, is just one of the tricks this house is now home to. 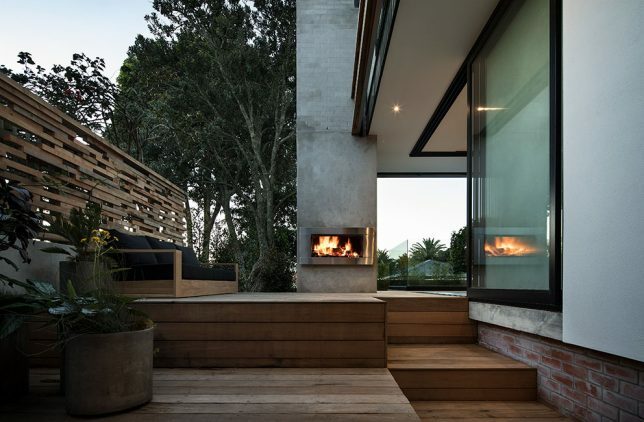 Out back, fresh treatments and extensions create a modern garden landscape, complete with outdoor fireplace as well as linear, structured wood and concrete space-shaping elements.